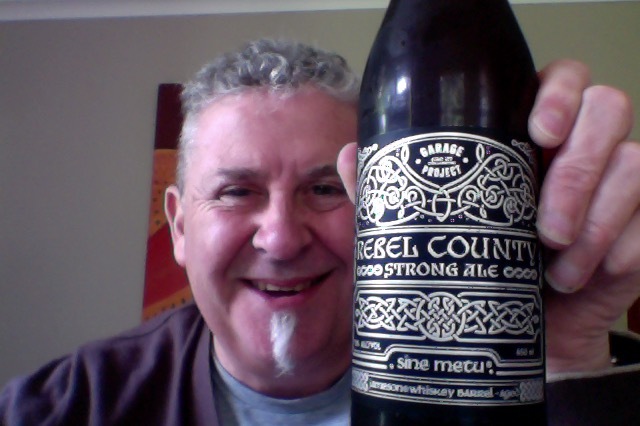 Garage Project Rebel County – of course it’s a beer and vinyl day – American Strong Ale and Siouxsie and Banshees. Fancy beer the Rebel County . This is a 650ml bottle of abeer that is 13% ABV, which works out around the 390 calories a serve size, the bottle is 6.7 standard drink units in NZ. 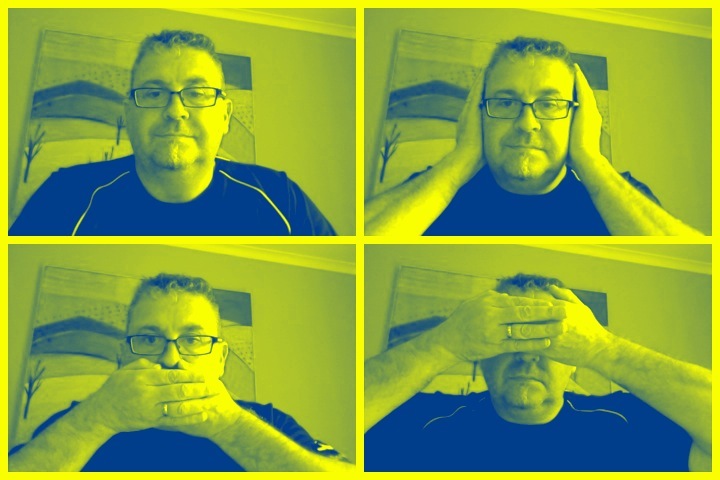 Sine Metu – without fear. The Jameson family motto and the guiding principle for a collaboration unlike any we’ve done before. Jameson, Garage Project and fresh whiskey barrels from the Midleton distillery in County Cork. A unique opportunity like this demands a unique beer. Inspired by the distinctive oak driven flavours of Jameson whiskey we’ve created a fiercely strong blonde ale, brewed with Irish malt, maize, honey, hazelnut, vanilla and dried apricots, then aged in borrowed barrels and butts, producing a truly collaborative beer imbued with the very spirit of the Rebel County. An intriguing malty aroma that’s quite fruity, not at all like a whiskey aroma that I was expecting, sweet. Aroma in the glass too is odd, and not familiar with anything I can think of apart from Toffee. Lovely golden orange pour of a beer. Aroma is strange, and the only thing I could think of was Toffee. The taste is amazing though, Oaky whisky softness with an intense sweetness and heat about it, that and a long lingering mouthfeel . The aroma is quite odd though and out of place, and that doesn’t prepare you for the quite intense beer that follows, which is subtly intense and full without being ragey and angry. There’s that nice warmth in the aftertaste too. A lovely beer to pick our flavours and layers on though, I wish I could unpick that aroma, but the flavour are discrete and work well together in this. A mixed review then, on one hand this is lovely beer. Then I thought it was layered and invited investigation. Then I thought it was going to get hard going. Similar to the vinyl music, the distinctive music, a couple of familiar tracks and then some jib jab and weirdness. Possibly why this is in good condition vinyl wise, might have got a couple of spins and left to mature. Not a classic album by any measure. The pdubyah-o-meter rates this as 8 of its things from the thing. It is another of those relentlessly full flavoured beers that just hammer away at the palate, starts off really mysterious and then revelatory and then to a realisation that you’ve possibly bitten off quite a bit more than you can chew. Despite the large bottle I don’t think this is a quaffing beer and ends up requiring small sips to get through. Where did I get it? It was a gift on my birthday, but they are still around in good places. Would I share with a friend on a porch and set the world to rights? It is clever and nice take on Whiskey beers using barrel and casks over peated malts. It’s a nice beer to experience. Siouxsie and the Banshees were an English rock band, formed in London in 1976 by vocalist Siouxsie Sioux and bass guitarist Steven Severin. Punk that became post-punk. This from 1979 then my Vinyl music and beer afternoon. 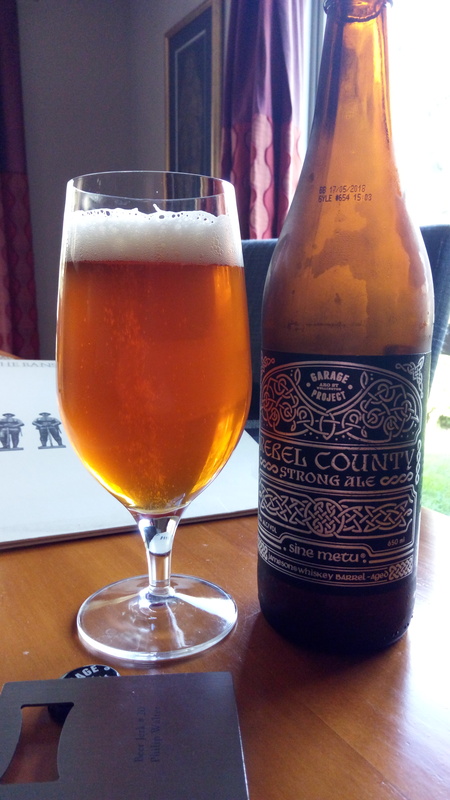 This entry was posted on September 17, 2017 by Philip Walter in American Strong Ale, Beer, Beer of New Zealand, Beer Review, Brewed By, Craft Beer, Critic, Garage Project and tagged Alcohol by volume, Beer, craft beer, Garage Project, Garage Project Rebel County, Rebel County, Whiskey oaked beer.